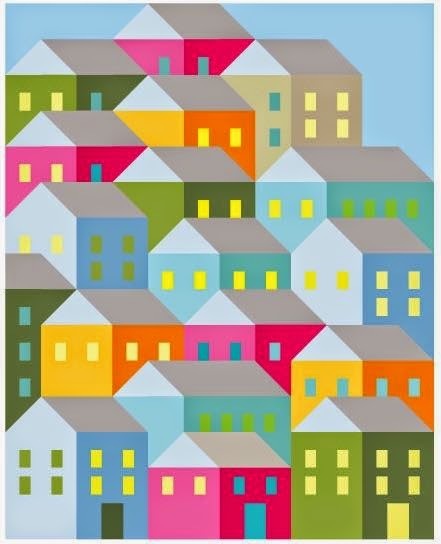 This neat house quilt along has you creating a beautiful cascade of house blocks as though they're on a hill, don't get intimidated by the puzzle of blocks cause Christine will walk you through block by block and then finally putting it together. At a fast clip of 2 blocks per week you'll have constructed a beautiful quilt full of fun quirky houses. Think of all the fussy cutting fun you could do with the windows!